For any business, social media is an integral marketing tool that must be utilized properly. With that being said, as a business manager, you should hire a social media manager. Managing different social media accounts and keeping them full of content can sometimes feel like a full-time job. Between maintaining a business Facebook page and responding to consumer questions on Twitter, social media management is usually too time-consuming for business owners to handle alone. That’s where social media managers can be of assistance. If you find yourself floundering in the sea of social media sites, consider upping your prowess by hiring a social media manager. A social media manager is a professional who is placed in charge of monitoring, guiding, filtering, and contributing to the social media accounts of a business, organization, or individual. They work to help with branding and engagement. A social media manager takes over all of the social media accounts of the business or organization. Read on to learn the top reasons why you should hire a social media manager. Social media marketing costs about 60% less than other marketing campaigns and can bring in as many as three times the leads. Therefore, it is a truly cost-effective means of budgeting. You can earn money without spending so much of it. 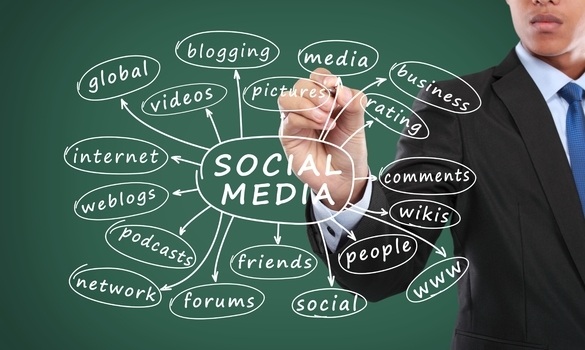 Many businesses expand through the many ways that social media boosts profits. However, to increase your profits on social media, you need an expert. To gain the best marketing results, invest in a social media manager. A social media manager is going to be able to help their client by introducing a full social media marketing strategy. Instead of simply posting random things on social media, this strategy keeps things organized and helps companies to stay on track. A big part of the responsibilities a social media manager has is keeping up with the reputation of the individual or company. Social media can make or break a person or company’s reputation. Properly managing a reputation is essential to business growth. Social media managers establish credibility for companies through implementing various social media tactics into their strategies. For instance, they include the best practices for giveaway items to increase consumer interest and gain followers. By implementing strategies on a daily basis, social media managers effectively manage companies’ reputations. Another reason business owners hire social media managers is because they increase engagement. While providing quality content on various platforms can increase your online presence, engaging with customers earns you more sales. Customers respond more to companies that return the favor. If you ask a question on your Instagram post that will help you plan out your next campaign, you need answers. To ensure that you get those answers, respond to the questions your followers ask on your other posts. In this way, a social media manger can boost your sales. Trends come and go in social media and it can sometimes be difficult to keep up with the changes. A social media manager stays abreast of the changes and prevents their client’s social media pages from becoming stagnant. If your competitors implement new tactics based on the current social media trends and you do not, you will not gain any new customers. Furthermore, you could lose your existing ones. Hire a social media manager to keep up with the trends for you and retain customers. A social media account must consistently be updated or it becomes stagnant and boring. Sometimes, individuals and business leaders are too busy with other responsibilities to keep up with their social media accounts. Since consumers choose to follow you on various platforms to increase the number of quality posts that appear on their timelines, you need to provide them with quality posts regularly. If you do not, you could lose your followers and, therefore, potential customers. Social media managers have plenty of content marketing ideas under their belts. With them, they can keep content consistent. Then, you can work and reap the benefits of maintaining social media pages at the same time. The right marketing platforms will help companies to increase their branding and see greater returns on their invested time and money. Hiring professionals make the process of managing social media accounts much more effective and less exhaustive. It can be difficult managing social media accounts without professional help. With the right professional, your social media campaigns will be more popular than ever before. If your social media accounts are outdated and boring, hiring a social media manager can bring them back to life. A manager can take over all of the aspects of running your social media accounts so you do not have to stress. With the right manager in place, your social media accounts will come alive again and you will notice more engagement than you ever thought was possible.